Business Kung Fu™ is an enterprise development solution that powerfully combines online video training, online collaboration and small group coaching designed to help you grow your business and fulfill your dreams! We are confident we can help you scale your business, so we offer a 7-week, no risk, satisfaction guarantee. Over the years I have had the privilege of working with hundreds of business owners. After a while you begin to see patterns. Most of the things that cause businesses to fail outright or fail to scale (grow) are both predictable and preventable. Most businesses fail outright. Over 70% fail in 10 years, but what is even more alarming is the number who fail to scale (or grow) into mature enterprises. 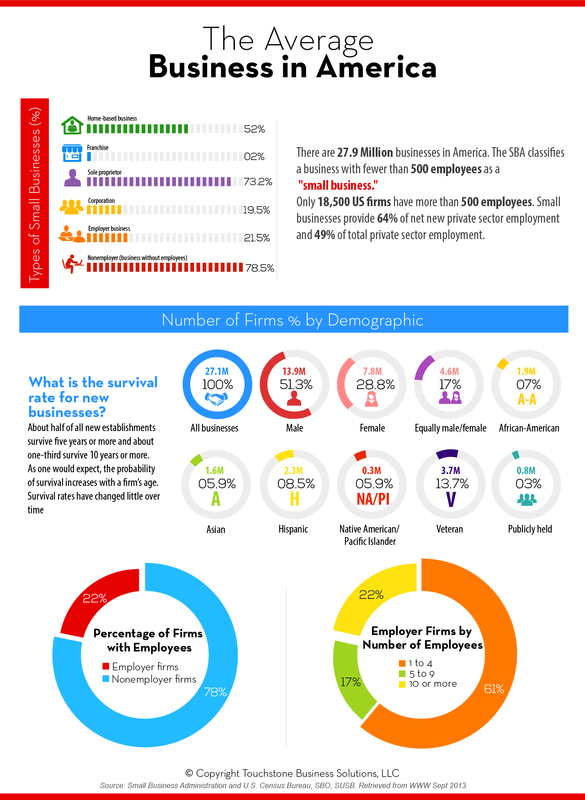 About 80% of the 27 million businesses in the US have no employees (just the owner). Less than 10% of all businesses have more than 5 employees, and less than 5% have more than 10 employees, and less than 2% have more than 100 employees. Why do businesses fail? Research shows it is a lack of experience and know-how – again predictable and preventable in most cases. You just need to develop your enterprise building skill set. How will you know what is truly essential and what is window dressing? Please contact us for help. We would love to talk about your business. Business Kung Fu™ was designed to help businesses succeed and scale. Building a business requires a different skill set than the product or service expertise that the business owner used to launch their business and achieve early sales success. Business Kung Fu™ has been designed with this in mind and focuses on something I call Minimum Enterprise Competence™. It focuses on the 20% of skills and information that will make the biggest difference in your business success. We recognize that your time is limited; in fact, I know that this is one of the things holding you back. So the 24 toolkit lessons in Business Kung Fu™ are bite-sized but packed with learning. In each toolkit lesson I draw your attention to the Minimum Enterprise Competence™ you must master and the game-changing principles you need to know. The training course and groups come as a package. Kung Fu Groups are monthly facilitated group coaching sessions. To truly unleash the potential of Business Kung Fu™, you need to having Sparing Partners, a group of peers to meet with monthly for support, encouragement and accountability. These groups are facilitated by a master facilitator/coach. The group and the coach will help you apply the Business Kung Fu principles and skills in your business by providing a structure for implementation and measurement. They will help keep you on track by providing affirmation, equipping and empowerment. There is something powerful about training with others. For years I have wanted to help more business owners, but my time and capacity has been limited. With Business Kung Fu my desire is to help as many businesses succeed as possible. I also know that the businesses that need this the most must make the most of their cash. That is why we have priced Business Kung Fu affordably. To learn more about the Business Kung Fu business opportunity contact us.